Andy Serkis has revealed his 'Star Wars: The Force Awakens' character Lord Snoke is "severly damaged" and "very scarred and disfigured"
Andy Serkis' 'Star Wars' character is "severely damaged". The 51-year-old actor's role in 'Star Wars: The Force Awakens' has been shrouded in secrecy but he's now revealed his character Lord Snoke is both "powerful" and "vulnerable". He explained: "He is severely damaged. Although he's a powerful leader, he comes across as vulnerable. Very scarred and disfigured." 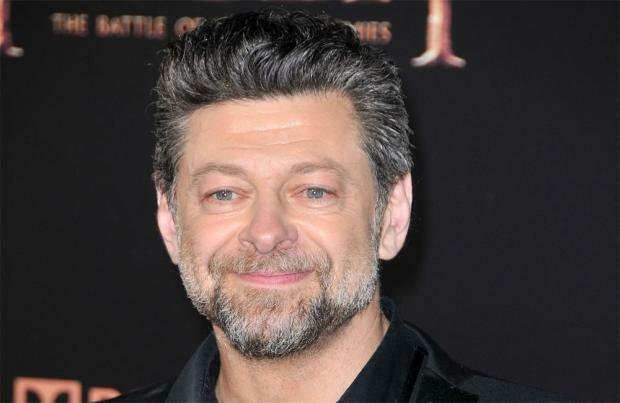 Serkis is no stranger to playing somewhat unusual characters having taken on the role of Gollum in the 'Lord of the Rings' and 'The Hobbit' films and Ape King Caesar in the 'Planet of the Apes' franchise, but he's admitted 'Star Wars' has been the most "challenging". He told Empire magazine: "We used a sort of 'Kongolizer' method of having sound come out of speakers to give a sense of scale and distance for the character. So it was very challenging and scary, in fact probably one of my most scary film experiences I've ever had." The 'Avengers: Age of Ultron' actor added that fans aren't the only ones who have been kept in the dark about his character. He explained: "I worked specifically with Domhnall Gleeson and with Adam Driver. My first day was basically standing on a 25-foot podium doing Lord Snoke without the faintest idea what he looked like... or in fact who he was! I was very high up, totally on my own, away from everybody else, but acting with them."